There was no doubt about it, but now we can confirm that both TWRP Custom Recovery and root access are available for the Samsung Galaxy S9 and S9 Plus. However, your device model may matter because TWRP is not officially available for all the variant and without TWRP, it’s not possible to get root access in Galaxy S9 and S9+ at this moment. There could be some other option like CF Auto Root or patch image file that could root your Galaxy S9/S9+ using Odin, but flashing SuperSU with TWRP is bit easy and fast way to root a device. If you have successfully installed TWRP on your device, follow the tutorial below to Root Galaxy S9/S9+ using SuperSU package. As you continue reading below, we will guide you on How to Root Galaxy S9/S9+ with an easy step-by-step tutorial. Continue reading below, we will guide you through an entire step-by-step tutorial with all necessary tools (download links are given below, keep reading to grab and install). You can quickly root Samsung Galaxy S9 or S9+ using the tutorial below! Make sure you have correctly installed Galaxy S9/S9+ USB Driver on your computer. If not, please download it from our USB Driver Section below and install it correctly. Otherwise, your computer will not detect your device. We don’t want you to lose any data, or anything could go wrong unexpectedly. Before starting the tutorial, we strongly recommend you to make a full backup of your phone. If possible, take a full Nandroid Backup via TWRP, or you can try out some of the Hand-Picked Android Backup Apps to secure your data quickly. You need to perform a Dalvik Cache wipe in recovery mode before/after flashing SuperSU package. We have mentioned full step-by-step instructions on How to Root Galaxy S9/S9+. If you are entirely new to rooting, flashing a Custom ROM or an Official Firmware, please read the entire tutorial once before actually performing it on your device. Step 1: Download Nemesis Kernel and SuperSU SR5 for Galaxy S9/S9+ on your computer. Step 5: Press and HOLD [Volume Up] + [Bixby] +[Power] buttons together, and wait for 15 seconds (approx.) to enter into the recovery mode! Step 6: Once you are in the TWRP recovery mode, tap on “Install” button. From the list, choose the Nemesis kernel zip file that you have copied in Step 3. Step 7: Confirm the installation by swiping the “Swipe to Confirm Flash” option on the next screen. 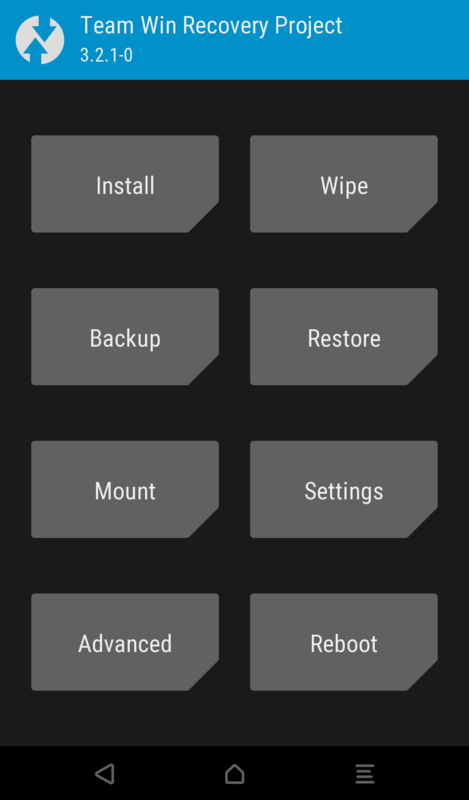 Step 8: Now, tap on the “Wipe cache/dalvik” button to clean the ROM and stay away from any boot loop issues. SuperSU: Repeat the above step (Step 6 to Step 8) for the SuperSU zip file as well and install it on your phone. Step 9: Hit on “Reboot System” button! Hurray! Your Galaxy S9/S9+ is now successfully rooted. Check out: Top 40 Android Apps for Rooted Devices! Previous article[Update] Official LineageOS 15.1 for OnePlus 2 – Guide, Screenshots and Video! Worked. but no WLAN and Bluetooth! How are you, my friend ❤ Please help me! Is this for Galaxy S9+ running Android 8.0.0 Oreo? What is the ROM on which root works? It is a Galaxy S9 Plus – DBT! I rooted it with Nemesis v.1.0.0 Android 8.0.0 Oreo. With there being no way to unlock the bootloader, I’m a bit apprehensive about attempting root on S9 Plus Snapdragon variant. I don’t believe you can apply custom ROMs unless bootloader is unlocked. Granted, the rooting method available will allow for bloatware to be removed, but will I be able to actually change deep settings on my device? We need somebody to create a bootloader unlock tool for the Snapdragon variants. Question on your S9 root instructions. You don’t mention anything about OEM unlock on being enable. Do you need it to root? Don’t say all variants if it ain’t all variants! It’s clearly mentioned in the article as well as in the topic, that the tutorial is for all Exynox editions.